In 2005 I set up Making Marks as a focus for my public commissions, memorials and private commissions. My work ranges from small hand carved house names, memorials and garden sculpture to large scale public art projects. I was initially introduced to lettering and carving by my step father David Baker when I was 15. I went on to train in lettering at the City and Guilds of London Art School and then I worked as an apprentice to Richard Kindersley in London. 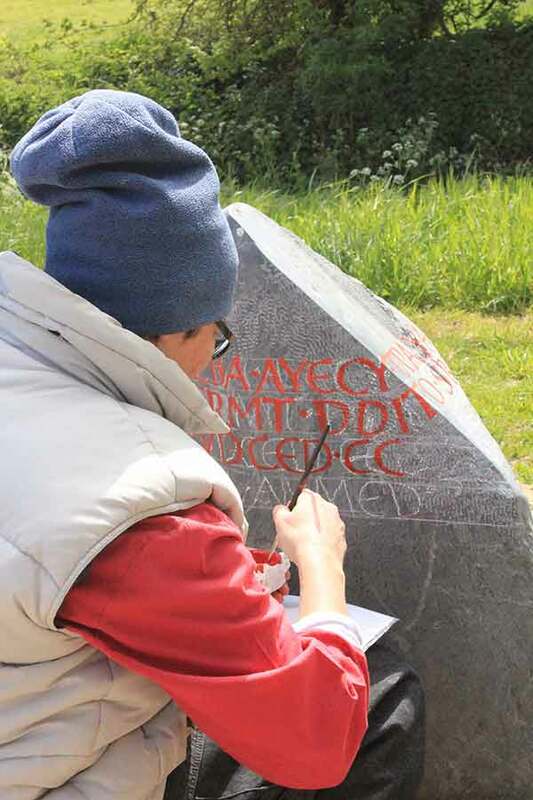 I have worked with Memorials by Artists for many years and I was delighted to be chosen as one of their master letter carvers to take on an apprentice to train for 2 years under the Memorial Arts Training Scheme. I am now one of the Trustees on the Lettering and Commemorative Arts Trust.